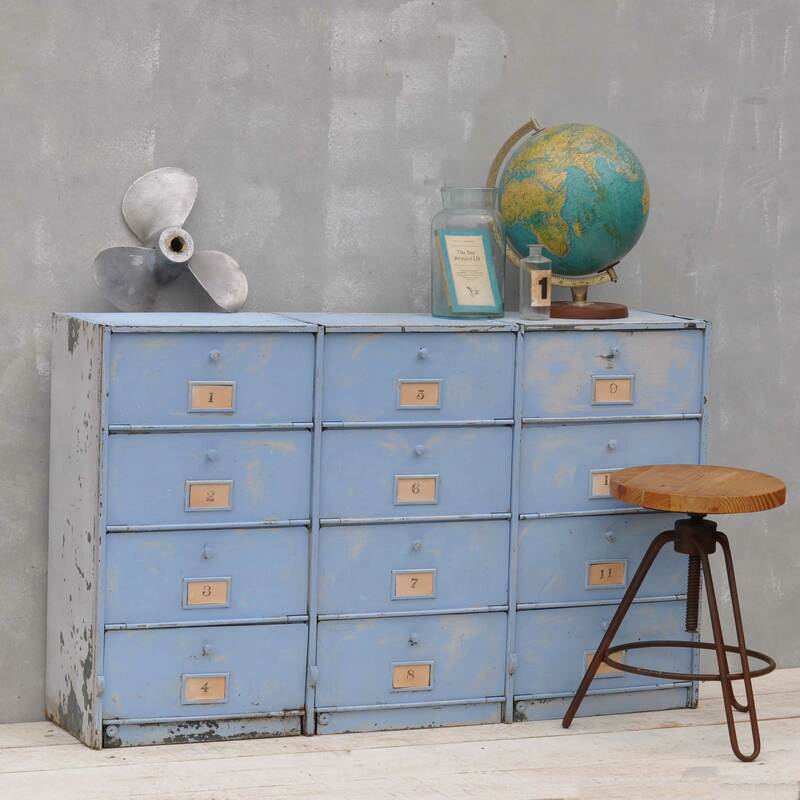 Originating from a French school these industrial pigeonhole lockers have kept their original layers of green, cream and blue paintwork. 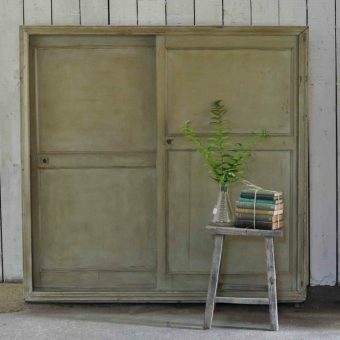 It has a lovely pale blue topcoat with a lovely worn patina. We have lightly sanded the paintwork to clean it up and remove a few superficial rust spots. 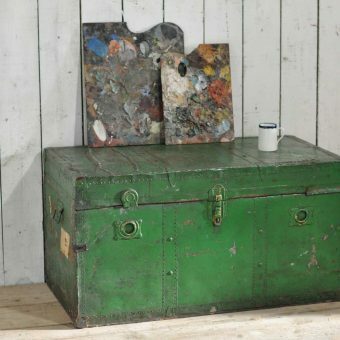 The interior of each cubby is painted in the original khaki green paintwork and they are nice a clean (not rusty or oily as some industrial pieces can be). Each door opens by a gentle pull which releases a small catch allowing access. Each pigeonhole is hinged at the top and lifts upward to reveal the storage space below. Made from heavy steel this would make a fantastic console for the hallway (perhaps for shoes) or would look fabulous in the kitchen or office. 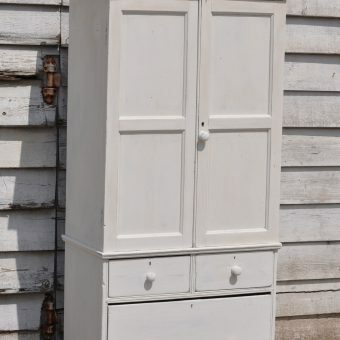 We have many other vintage industrial items throughout the website. 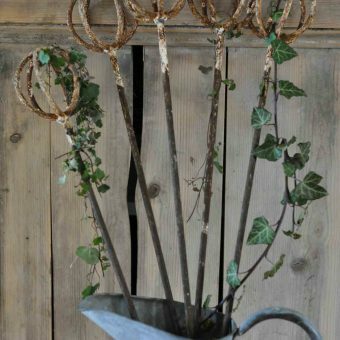 Please explore our vintage rustic section for further ideas. We can deliver this item on a pallet to uk mainland destinations. Prices vary from £40 to around £90 dependant on your location in the UK. Pallets are delivered with a one man service and delivered kerbside, you will be left with a pallet to dispose of. Local deliveries possible starting from £25 with a dedicated van. 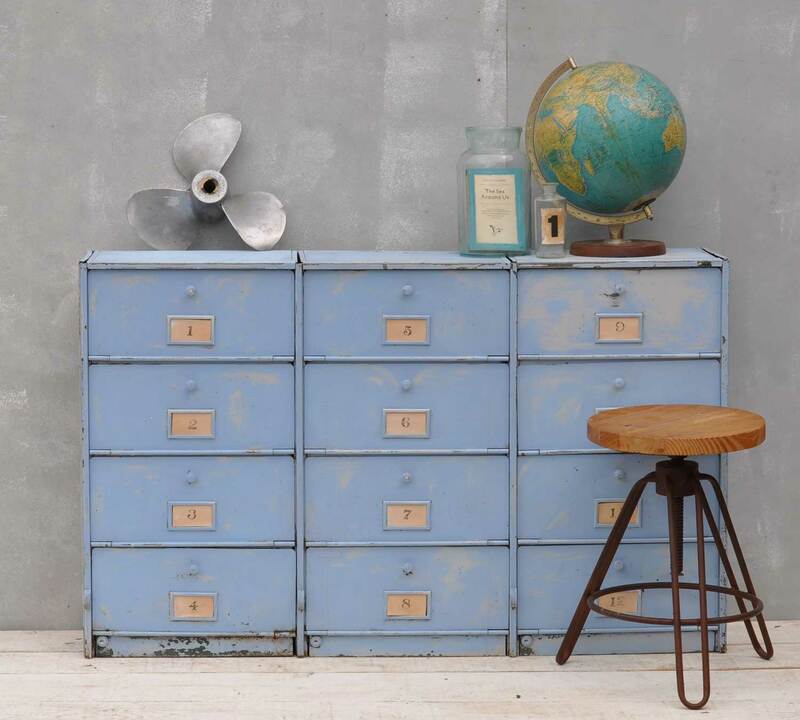 Tags: cabinet, cupboard, homebarn, industrial, locker, office, Pigeonhole, uk industrial, vintage.